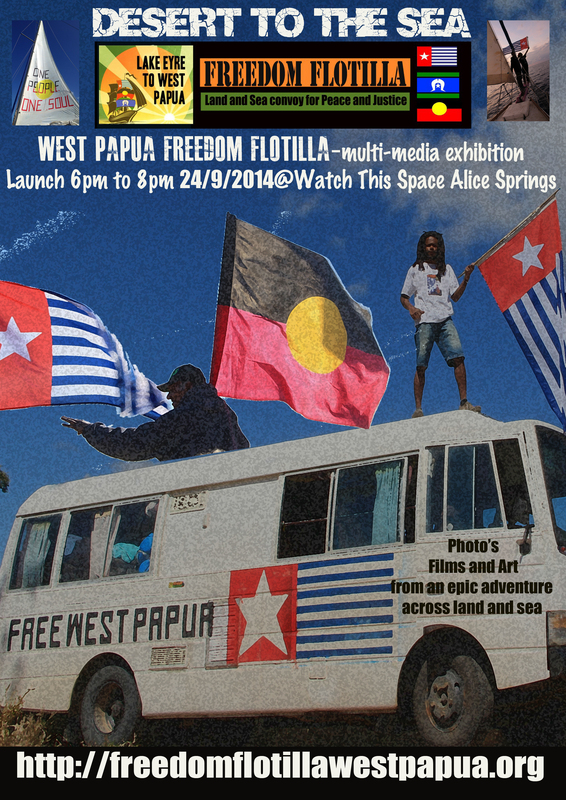 Desert to the Sea – Freedom Flotilla to West Papua Multi-media exhibition. Launch 6pm 24th September Alice Springs.. come on down… photo’s films and art from an epic adventure across land and sea. This entry was posted in Alice Springs, Events by unitedstruggleproject. Bookmark the permalink.